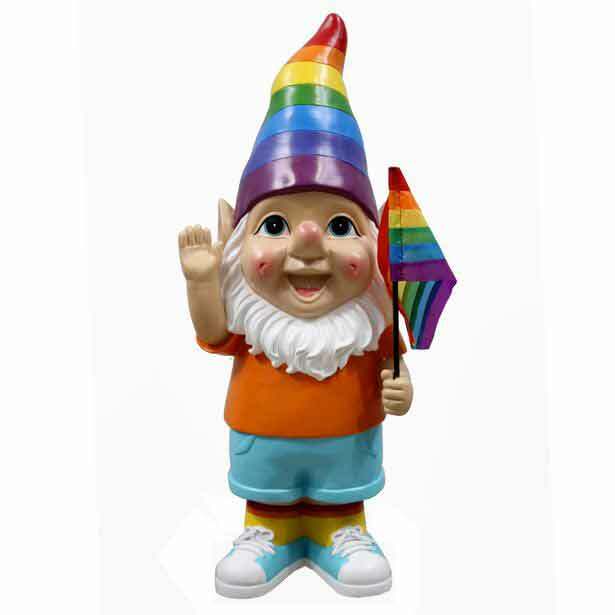 Not everyone likes a gnome. The smurf-like garden intruders, with their bizarre hats and silly faces, are as divisive as brioche baps. 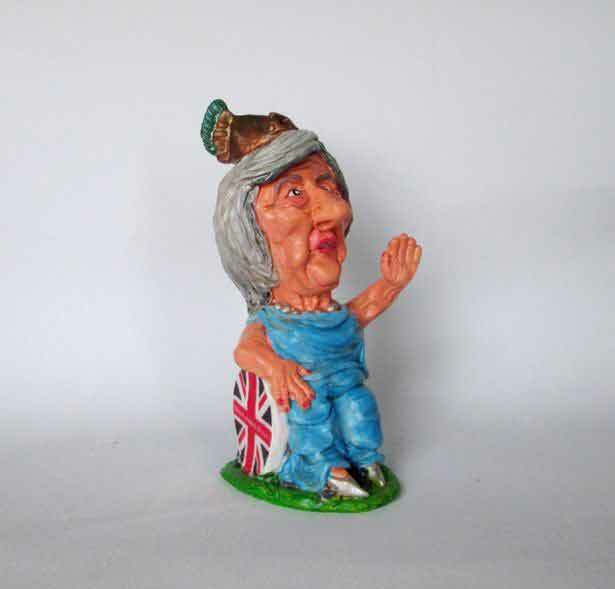 But for those who do enjoy the odd gnome, a new batch of political characters have been forever immortalised in horticultural splendour. 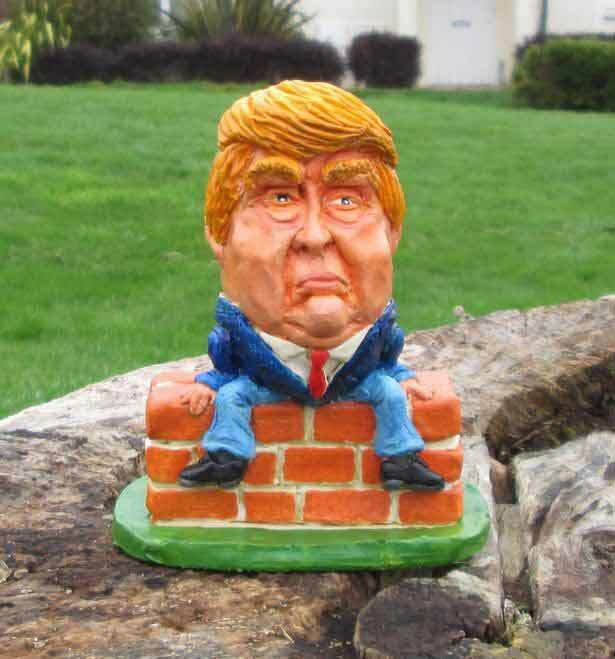 Ceramic artist Andy Field, also known as Sniglart, has been crafting political gnomes in his Cornwall workshop. He says his Corbyn gnome is selling out quickly – so quickly, in fact, that he intends to remodel him in the form of a 'superhero'. Andy, who last year sculpted former big names of politics, has now turned his attention to the likes of Jeremy Corbyn . 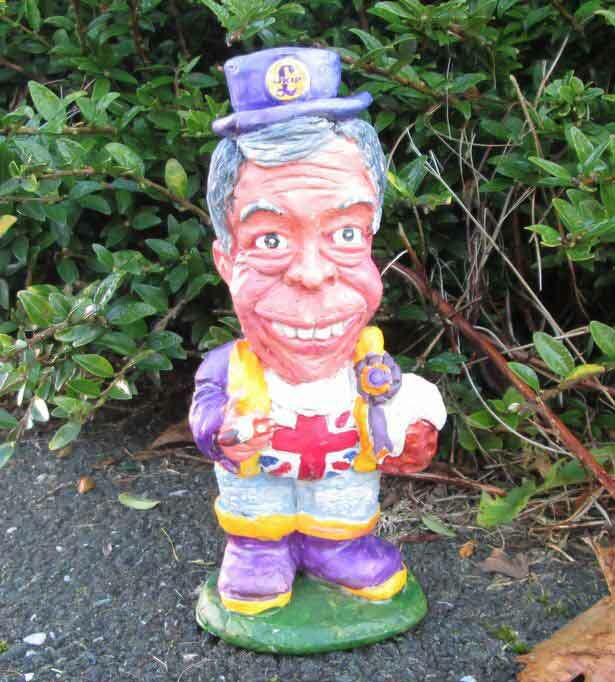 His gnome version of Farage featured on a Wife Swap Brexit Special on Channel 4. Andy only works part-time in his pottery workshop. So there aren't many of his gnomes available. They're limited edition – and quite niche. 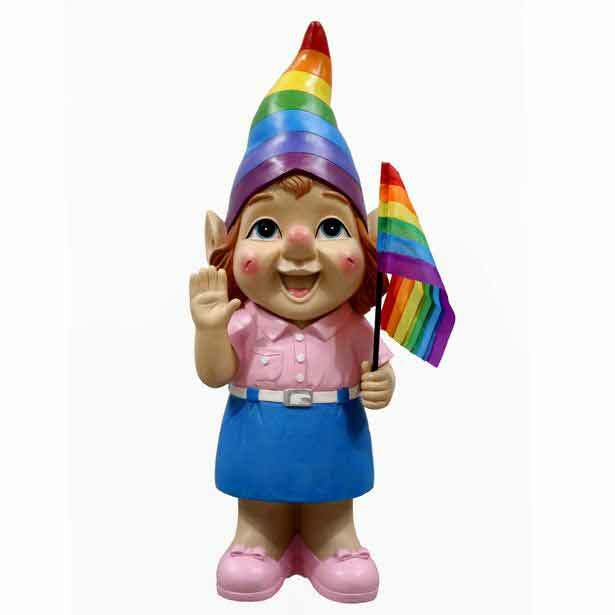 The hand painted gnomes stand between five to eight inches in height, and are made from acrylic polymer, so are sculpted to last a lot longer than politicians. They cost £33. 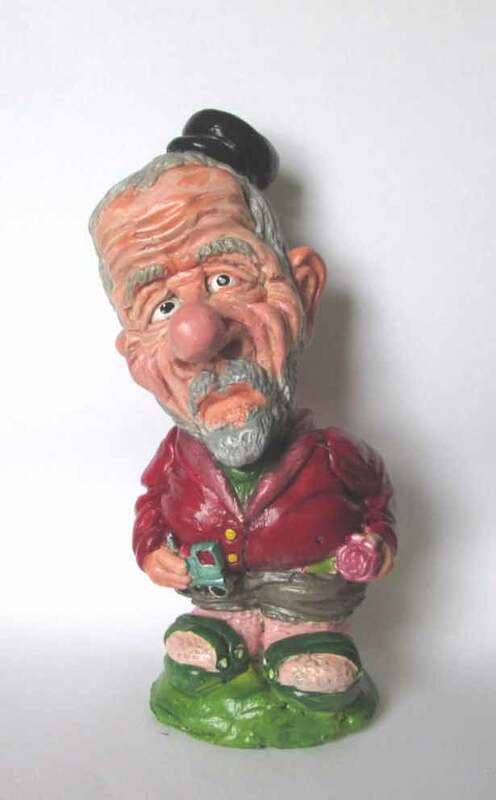 ...But you fancy sprucing up your garden, there are other quirky figurines to consider. Gnomes play a big part of Asda's heritage. 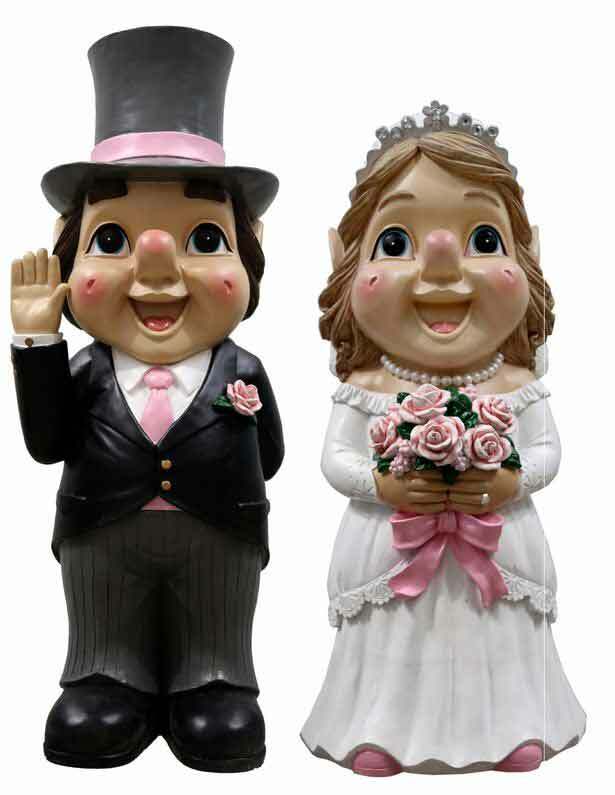 Not only has the supermarket created a royal figure of the Queen, but married couples too, as well as new 'rainbow' characters for the more progressive garden displays.